When it comes to the rules, there are too many, amirite? I mean who can keep up? You got your best business practices and your social media. There’s the general rules of social etiquette (or as I like to practice it, social awkwardness). You got your sticky rules of intimate relationships and your complicated rules of engagement (no relation to the previous). And the list goes on and on. It’s a wonder that we can function at all. How are you going to keep everybody happy when your customers, your family and your team need your attention all at the same time. It can seem like a balancing act on the high wire. If you get too distracted things might start plummeting to the ground, including you. You can make it work though if you have an ounce of awareness and you practice, practice, practice- Playing by the Rules. Rules are a bizarre thing anyway, so let’s just start there. When it comes to accounting and legal for instance the rules are super obvious. There are guidelines and policies that folks universally follow. These kinds of things are structured to keep things above board and crosschecked. Corporate culture and client relations on the other hand have much subtler rules. The nuances there can get out of control. Your biz culture could be inspiring and challenging and in a way that encourages growth. When it comes to your Clients, you get to set the rules of engagement. Those rules could be clear and engaging in a way that your Clients will never forget. When you are an employee both sides of this experience is also what you hope for. You want inspiration and challenges that encourages your growth. Most people want to feel supported and mentored along the way. As an employer you want to increase productivity and foster inspiration. However sometimes you might find yourself uninspired and task managing instead of creating. Some people report feeling taken for granted instead of nurtured. If communication is poor and support is lacking, the idea of running your own thing doesn’t seem quite so scary anymore. It can’t be any worse than this, right? 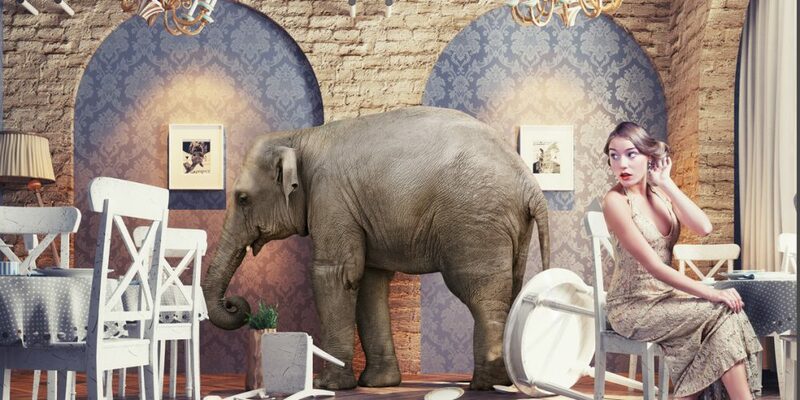 Whether you are the big boss or an employee, playing by the rules is by no means an easy task. First you have to develop an attractive brand identity and then practice, preach it, practice, preach it, practice, preach it until everyone feels it and can repeat it by heart. Ignoring the fact that you have something to do around creating a culture at all is a one-way ticket to disappointment. So where do you start? What’s important? What’s a complete load of crap? How about starting right there? What is important to you? What is just a load of crap? To feel integrated and connected with people or alienated on your own island? More good times than bad? To have more productivity than stagnation? Your team to look like Olympic style synchronized swimming or a like a bunch of gray whales in a puddle? If you’re positive that you want to feel integrated vs. alienated, but you’re not sure how to get there, that’s OK! Playing by the rules will get you on the integration track. When you’re the boss, you get to set the example. So what kind of example do you want to set? When you’re gone how do you want people to remember your leadership? How about abusive and demeaning in the name of motivation and genius-level thinking? Some have said as much about Steve Jobs. How about being remembered for your reputation for high emotional intelligence? Do you want your ability to foster creativity through your support of a work life balance to be your legacy? Some have said as much about Arianna Huffington. If it’s the latter then playing by the rules will boost you onto the fast track. Need more examples? 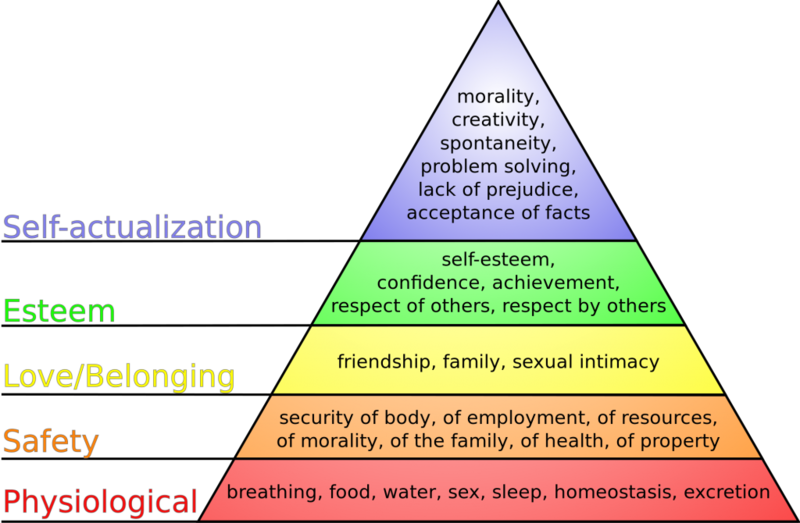 On Maslow’s hierarchy of needs, self-esteem is one away from self-actualization. It comes right after safety and love and belonging. One leads to the other. Do you (A) feel secure in your work environment or (B) like you’re always walking on eggshells? Do you (A) often feel included or (B) like you’re always the odd man out? If you selected (B) then maintaining a sense of self-esteem is not happening for you anytime soon. You can call your team a family, but if people are choosing (B) instead of (A) then you have some work to do. It’s a proven fact that people need to feel connected and accepted to feel creative and productive. If you feel alienated or you alienate others then no one is getting what they need and happy feelings are far away. When you are open and accepting of others it goes a long way to making those around you feel like they belong as well! Not every business culture mirrors Maslow’s hierarchy of needs or feels that it is important. The current Tech world is a good example of this. I haven’t read an article yet where Women in Tech are thriving in droves, but I look forward to it! Seems to me like the world of Tech is a great place to practice this. You can practice what you don’t see and preach what you don’t hear until it catches on. You can model communication and fairness in order to create your own ecosystem of happiness. It’s like exercise or meditation. At first developing the habit is as hard as hell then one day you can’t imagine not exercising or meditating. You feel weird when you don’t. Join forces with other Women. Find at least one like-minded creature to advocate for you. If you don’t need an advocate then you probably need to advocate for someone else. In other industries it may not be as obvious, but the opportunities are still there. Start with modeling a personal culture that is always playing by the rules and then practice what you preach. When it comes to rules in general, we can agree there are a lot. But if you can start playing by the rules, you may find out that you don’t even need the others! The rules are more adoptable in your personal culture for sure. But your personal culture and your business culture can be modeled after one another. At the end of the day if most of us want to be remembered as a good person and a good leader then we’re all better for that. As it turns out you can be a genius and a leader and be of service to the world without being an a&$hole. Like Arianna Huffington says, “No more brilliant jerks.” People aren’t growing from it. Your employees aren’t motivated and it’s not a quality life to be on either end of it. So practice playing by the rules at home and in the office. Think about it. If you only need one set of rules throughout the day, you’ll find that you have a lot more headspace to create.